Nota : les personnalisations (couleur Solid Graphic et Fish Graphic) requièrent deux mois de délai. 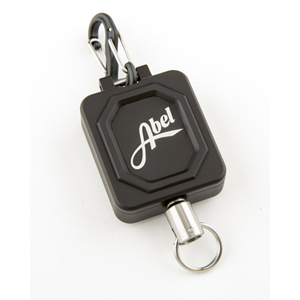 Abel Pliers are famous for being the first machined pliers produced for the fishing market and setting the standard for quality when it comes to fly fishing tools. Newly redesigned, the Abel Pliers now feature a more ergonomic shape which adds grip and keeps your hands away from the fish's bitey parts. A new machined-in loop-tightening hook has also been added to help with rigging those hard-to-tie knots. 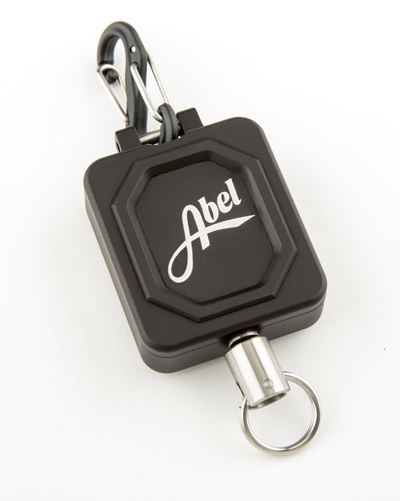 A machined stainless pivot bushing that highlights the Abel logo is new this year, reducing the number of parts and incrasing resistance to both saltwater and all other elements. Able's time-proven replacealb jaws are memaining the same, still able to cut anything from braided line all the way down to the tiniest tippet. All pliers will also now be shipping with a full-leather custom fit sheath and coiled lanyard, making for a secure and long-lasting way to carry them.